HomeAll Posts...Bootcamp Shrunk My Dress Size! One evening, while walking across the central park in front of One Utama, I caught sight of a bunch of people rolling on the grass, huffing and puffing, getting up and then running again. I was curious as to what these people were doing prancing around on the grass as if they had nothing better to do, so I stopped to watch. And that was when I first discovered bootcamp. 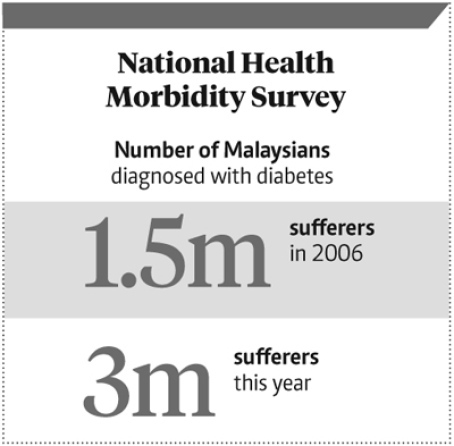 With so many bootcamps mushrooming in Malaysia, I decided to investigate further into what it can do for your body. 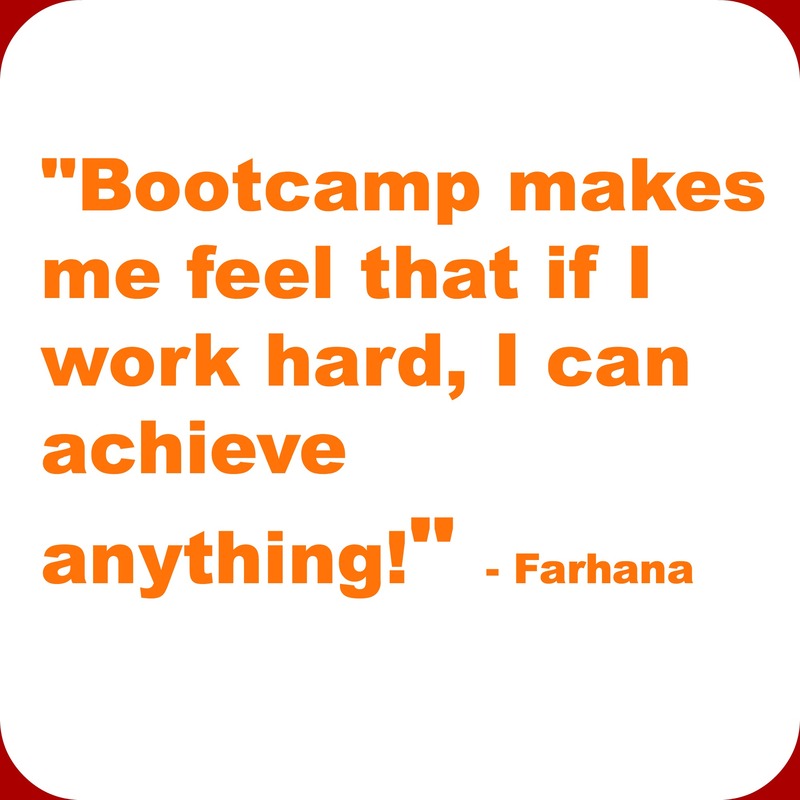 We got in touch with bootcamp regular Siti Farhana Othman, 26, who has seen amazing results for not just her body, her energy level, but also her wardrobe! 1. What made you take the leap and join bootcamp? It all started when I felt sluggish and heavy. I was kinda depressed that I didn’t look or feel the same as I did during my teenage years. (I weighed 50kgs before). So I weighed myself before I joined Rebel Bootcamp and was so shocked to actually weigh this heavy! I took charge of myself and said, it’s time to change! 2. Did bootcamp seem intimidating? How did you overcome that on your first visit? Bootcamp was a whole new world to me. It’s challenging but I enjoy challenges. I wanted to prove to myself that hey, I can do it and I did! You just gotta believe in yourself as there’s no one else who can help you but yourself. 3. What were the trainers at Rebel Bootcamp like? The trainers were tough but I bet it’s their style of making sure that this is no joke. If you want to succeed you have to bear with the pain and hardship. Outside of bootcamp, we are all chatty but during the training, it’s all serious business. 4. What changed after you became a bootcamp regular? My energy level increased quite a lot after I joined bootcamp. I was feeling sluggish before joining, but after getting used to the routine, I feel much more fit and healthy. 5. How long did it take to feel and see the results? You can really feel the difference after a month of bootcamp. Trust me, nothing beats the feeling of working out! After around two months of blood, sweat, and tears, I started seeing results. All of my clothes I was wearing when I was thinner fitted me at last! My body fat percentage was 41.8% before, and it went down to 27.2%! My weight also went down by 9kgs! 6. Besides bootcamp, did you change any other aspects in your life? Yes. Thanks to my bestfriend, she helps me change my eating habit. I am always the “I don’t care I’ll eat whatever I want”. Whereby she’s more like “portion control hana!” type of person. I mean, she’s lost more than 50kgs (she was 110kgs before so go figure!) so yeah, I eat healthy balanced meals and drink lots of plain water everyday. I also make sure that I get my 6-8 hours of sleep. 7. How has bootcamp changed you? It makes me realise that in life, there is no shortcut. You gotta work hard if you want results. No pills or diets in the world can change you. 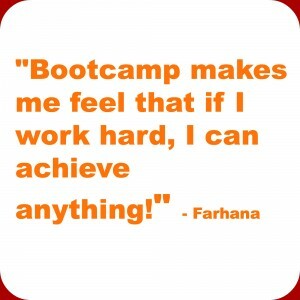 Bootcamp makes me feel that if I work hard, I can achieve anything! Feel like giving it a go? Try out Rebel Bootcamp for a month for just RM49 (instead of RM300) and witness how your body changes! Learn more here! Do you have a personal bootcamp story to share? Inspire us in the comments below or on our Facebook page! 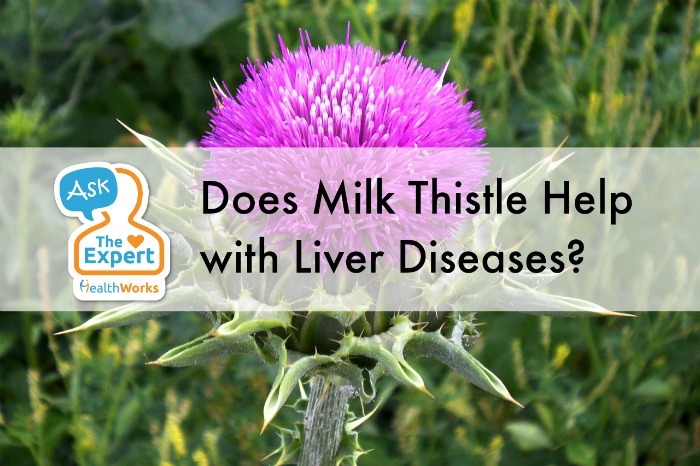 Ask the Expert: Does Milk Thistle Help With Liver Diseases?